Cha-ching. That’s the sound my phone makes when something I’ve listed on eBay sells. I love that sound. I sold a second lot of toddler clothes the other day, so I have another $50 to put toward the vet bill for poor departed Pumpkin. Tomorrow (Sunday), my husband and I plan to go through the garage and list a bunch of other stuff. Cha-ching. Last weekend, I cleaned like a crazy person. Like ninja-style, just attacking the three bedrooms and bathroom. Ripping curtains down, balling them up with towels and sheets and dropping them down the stairs to be washed. Swatting the broom at cobwebs in corners, getting out the vacuum hose and sucking crap and dust out of every crack and corner. Hoping to do some more of that tomorrow, too. I went through everything on my desk, purged and organized it and took care of a bunch of emails, phone calls, etc. I have been hanging laundry out whenever the weather makes it feasible. In years past I never would have even thought about doing that in late fall. I hit up a sale at oldnavy.com — 25% off everything, and I shopped through eBates, so I will get 2% cash back. I got some holiday clothes for my oldest and youngest, and a new winter hat for myself. To be honest, I just felt like shopping. But I think I made out pretty well for only spending $50. In more Compact-friendly news, I visited my favorite Goodwill and got some good stuff: 12 cloth Christmas napkins (I’m trying to get away from paper napkins), a plastic cover for my middle child’s bed, and three long-sleeve T’s for my oldest, including a cool soccer-themed Gap one. At the Nesting House, I bought several nice everyday dresses, leggings, pants, and shirts for my daughter, plus a really cute pair of Gap Kids fuzzy boots with pom poms, for about $30, after using the $5.50 of store credit I had. No item was more than $5. I also dropped off a small lot of 12-month boys clothes, so I should have more credit next time. I love you Nesting House! 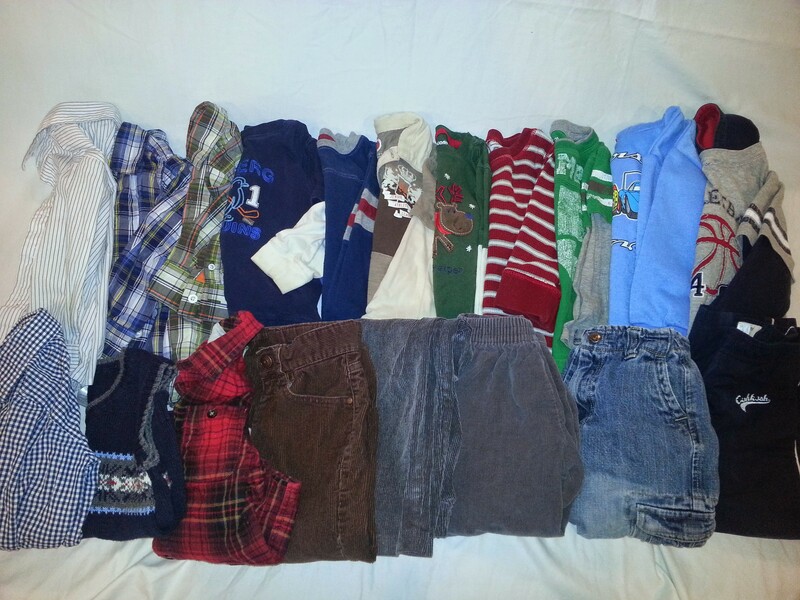 I used some Children’s Place gift cards to get a few shirts/pants for my sons (thanks Grandmom and Pop!). Aaand from eBay I “won” fairly cheap snow pants for my daughter as well as a fancy Christmas dress for $10. I also finally, finally, finally ordered fabric for the three pillows that need to be made for the back of my couch and found a local small business to make them, after a bad experience with Calico Corners. And — I checked retailmenot.com for Calico Corners when ordering the fabric and found a code for 20% off! People! Always check for coupon codes and always use eBates! So easy. 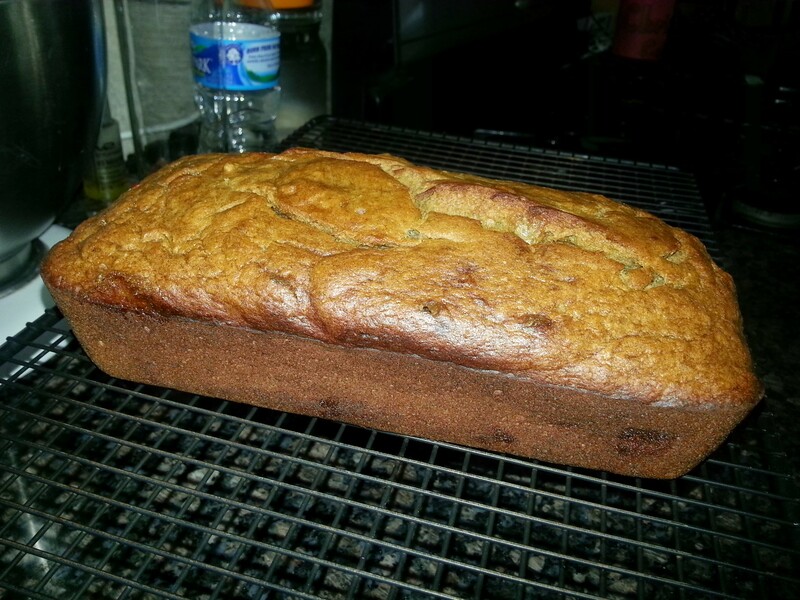 I made a loaf of banana bread, using up six bananas that my family neglected to eat. And this time, I turned the temp down to 325 degrees and baked it for longer. Success! No exploding undercooked bread. I scored a 100-piece bag of Halloween candy at ShopRite after Halloween for $6 (so, 6 cents a piece). I planned to divvy it up and use it for little Christmas gifts but the nighttime candy elves got into it. My dad mentioned that they might be able to use it at my grandfather’s nursing home, so perhaps I’ll take what’s left there before those dang elves eat it all. CVS emailed me a 30%-off coupon (for regular-price items only), so I used that toward new toothbrushes and toddler toothpaste. On the cooking/eating out front, I’m wobbling. I tend to use the busyness of the holidays as an excuse to not cook (“I really have to finish glitter-gluing all these popsicle sticks to these homemade cards, so let’s just go to McDonald’s”), and I feel myself slipping into that mindset. Last Saturday night, my husband treated us to Chili’s for dinner. All well and good, but then Monday night my husband worked late, and I had been really busy cleaning and baking, so we went to Sonic for dinner. THEN, the next night, it was our 9th wedding anniversary, so my husband brought home our favorite pizza for dinner. At least, I served up a salad to go with it, featuring romaine lettuce from the garden. With all my household accomplishments, the one thing I keep failing to do is paint about six knobs and fasten them onto my bedroom dresser. That would complete that project, but I just can’t seem to do it. Finishing projects is so boring. Starting three new projects is much more exciting!